AMIST Income Protection is provided through Windsor Income Protection Pty Ltd from 31 January 2015 and claims must be made directly to their claims provider n2n Claims Solutions (n2n). If your claim relates to an injury or an sickness that occurred prior to that date, please contact the AMIST Super hotline on 1800 808 614 and they will assist you in lodging your claim. 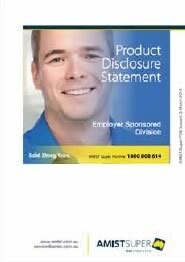 Alternatively you may Download Income Protection claim form. Section C (Employer to complete). Ensure all questions on the claim form are completed in full, if you have any questions please don’t hesitate to contact the n2n claims department.